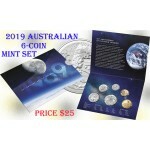 The 2019 50th Anniversary of the Moon Landing Australian 6-Coin Uncirculated Set is struck b.. 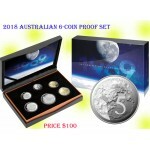 The 2019 50th Anniversary of the Moon Landing Australia 6-Coin Proof Set is struck by the Ro.. 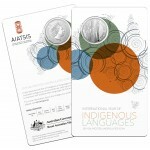 The 2019 $5 Echoes of Australian Fauna Coin Series Tasmanian Tiger is struck by the Royal Au.. The 2019 $2 Repatriation Centenary Mint Roll is struck by the Royal Australian Mint. Wrapped.. 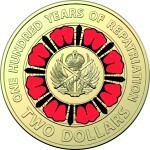 The 2019 $2 Repatriation Centenary Coin is struck by the Royal Australian Mint. Housed in a .. 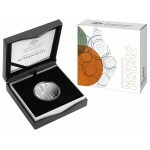 The 2019 $2 Repatriation Centenary C-Mint Mark Coin is struck by the Royal Australian Mint. .. 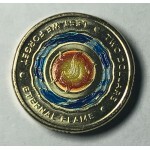 The 2018 $2 Coloured Coin Lest we Forget is struck by the Royal Australian Mint. Each coin w..